This week’s tip is all about using the Omega2 to control a robotic arm! The tip is brought to you by Daniel Vázquez Navarro and is actually his Bachelor’s Thesis for the Barcelona School of Industrial Engineering! Daniel used an Omega2, Expansion Dock and a third-party PWM Signal generator board to control a robotic arm that was developed by his classmates. 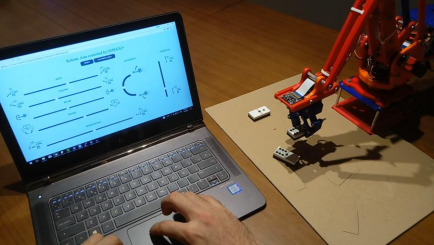 To demonstrate the final functionality of the robot arm, Daniel has it configured to pick up and place dominos! If we had a suggestion to make to Daniel, it would be to use our Servo Expansion and save himself the trouble of porting software libraries for the external PWM board that he ended up going with. 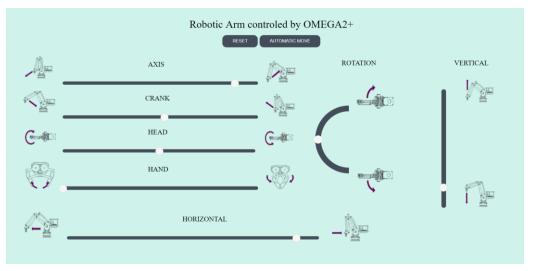 This is an amazing resource for anybody looking to make their own Omega2-controlled robot arm. It’s very thorough, lays out all of the steps required, and gives great background info on all of the topics.